An earlier tweet (now deleted) about Juan Thompson mentioned his own alleged excuse for threatening JCCs. Thompson’s motivation seems to have been to implicate a former girlfriend in the JCC threats, not necessarily anti-Semitism as such. Regardless of motivation, the act of threatening Jewish institutions is anti-Semitic and instills terror. Ah yes. 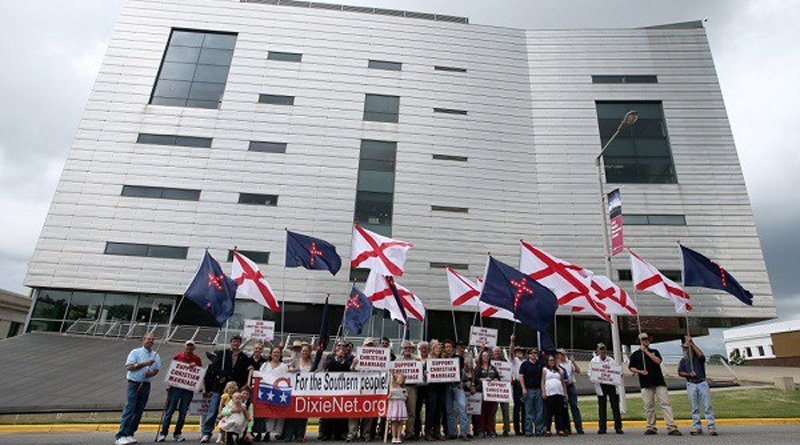 The act of using SPLC as a reference tool by homosexual Floyd Lee Corkins to shoot the security guard at pro-marriage Family Research Council instills terror too.